Raised on the waters near Portsmouth, Virginia’s ICW MM Zero, Earle’s interests and boating experiences are extremely diverse. From a humble beginning helping his brother Chris rig new sailboats at a very young age, he advanced to spending his summers off from Nansemond-Suffolk Academy and Virginia Wesleyan College as an outboard motor mechanic to fund what would become an illustrious career racing stock outboard hydroplanes. 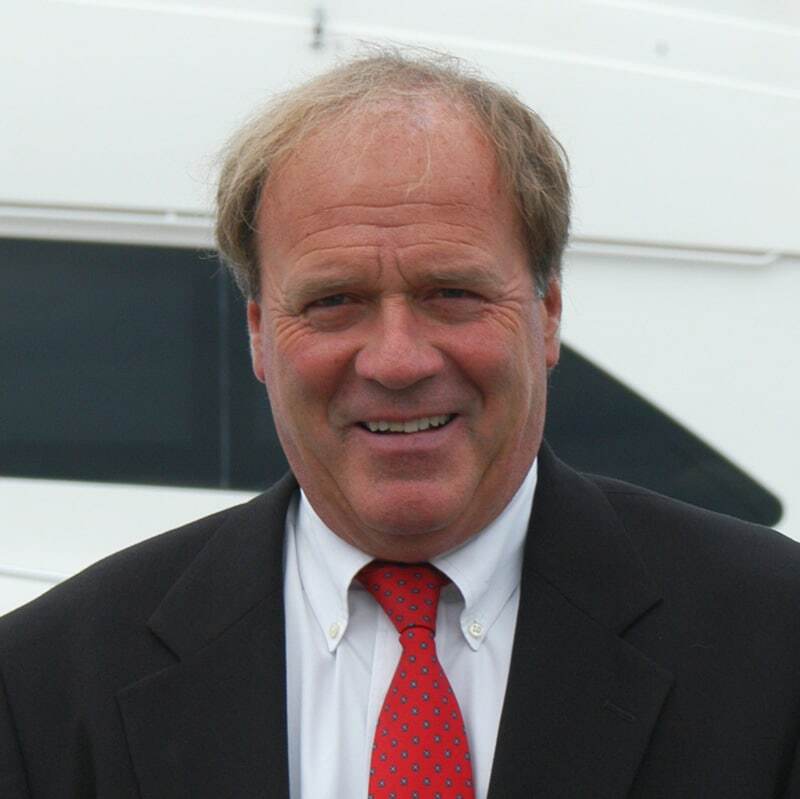 As Bluewater Yacht Sales began to prosper, Earle became a full-time team member in 1977. In the off hours, the Bluewater Team of Chris and Earle raced 2.5 and 7-litre hydroplanes, winning seven world and national titles. Earle went on to race on the Unlimited Hydroplane circuit and Formula One tour, and is an inductee of the American Power Boat Association’s “Hall Of Champions”. Earle’s victory lanes were not limited to powerboat racing though. He also managed to make his mark on the East Coast sportfishing circuit, representing brands like Viking and Hatteras Yachts on Bluewater’s demo boats. Today, that same passion for all things on the water thrives as Earle continues to make the boating lifestyle a mainstay when spending quality time with his family. Earle and his wife Denise met through the boating business when she was delivering boats as a yacht captain. They have two children, Kelsea & Connor, and like many families today, the Halls balance a very active schedule that finds Denise at horse shows “crew chiefing” for Kelsea while Earle is crewing for Connor at car races – Yet they always make time for family cruising on the southern Chesapeake or offshore fishing up and down the Mid-Atlantic and beyond. In running their own and showcasing the various boating brands that Earle and Chris have sold in Bluewater’s 40+ -year history, they formed enduring relationships with almost everyone that had a hand in the construction of the world’s finest boats. From the many who toiled tirelessly behind the scenes to Viking’s pioneering Healey family, the Halls’ desire to have an entrenched understanding of every aspect of boat construction, performance and innovations, resulted in personal relationships that provide Bluewater customers with unparalleled access to- and support from their sail, yacht and sportfish brands of choice. Earle believes that combining the knowledge and experience from so many different facets of boating has played a major role in the successful development and leadership of the Bluewater Network’s service and boatworks operations he oversees. It is Earle’s goal to ensure that the same steadfast standards and impassioned efforts that go into winning races, shows and tournaments goes into the quality of work that a Bluewater customer’s boat receives.